Citation: Douglas C, Deacon R, Mooney-Somers J (2014) Pap smear rates among Australian lesbian and bisexual women: some good news but disparities persist. 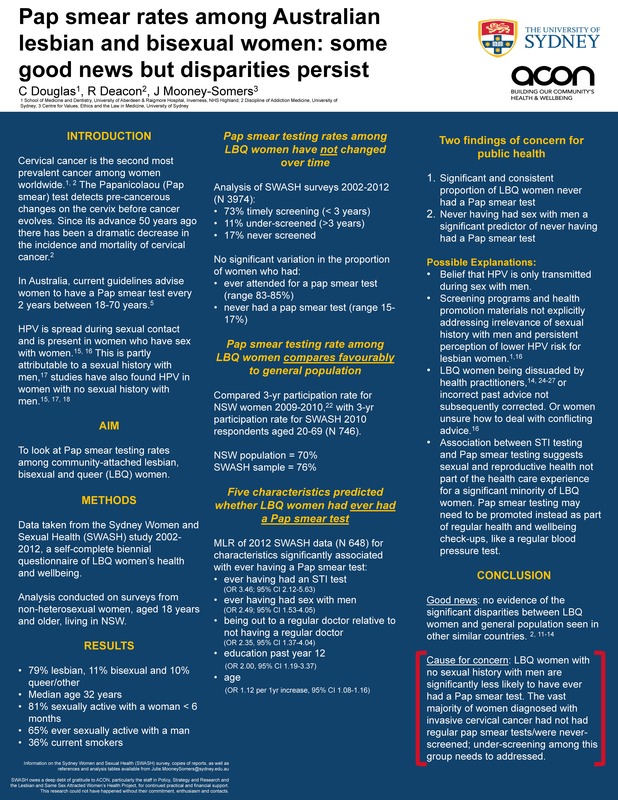 Poster presented at Australasian Sexual Health Conference, Sydney. Download the poster here. We’ve just started to get some media interest.